I'm all for musical evolution as a band progresses and develops through the years. However, Pure Reason Revolution's 'Amor Vincit Omnia' (Latin: love conquers all) is a serious case of devolution of the most terminal kind. 2006's 'The Dark Third' was a rich and rewarding work of modern progressive rock which drew from a deep well of influences including Pink Floyd, Porcupine Tree and even some Smashing Pumpkins. Yet, PRR inevitably created their own style, and it was very good. So what happened in three years? I haven't a clue. 'Amor Vincit Omnia' barely reminds of PRR's progressive rock beginnings. The substance of this disc is mostly dance floor electronica that sways horribly between the two poles of industrial and psy-trance music. This music is more fit for an Eastern European discotheque at 3am with your nose-pierced anorexia girlfriend in one hand and a alcoholic energy drink in the other. Not only could I not wait to get to the next song, but I could hardly wait for this disc to be over. Honestly, I barely made it through the first track 'Les Malheurs,' a viciously annoying piece of dance electronica, let alone the whole album. But, as in most good writing where a paragraph begins with a topic sentence, this song more than adequately summarizes 'Amor Vincit Omnia.' Loosely translated from the French, this means 'the misfortune or tragedy.' This whole work is useless tragedy. A minor exception might be made for the three part 'Keep Me Sane Insane,' 'Apogee,' and 'Requiem For Lovers,' but that may be pushing the envelope. If the weird electronica, consistent throughout 'Amor Vincit Omnia' does not slay you, the immense trance-like monotony of the last three songs will. If there was a musical interpretation of a once creative and promising modern progressive rock band ante mortem, then Pure Reason Revolution's 'Amor Vincit Omnia' may be the soundtrack to that horrible end. Caveat emptor, vincit omnia veritas. 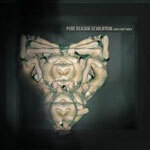 If there is a musical interpretation of a once creative and promising modern progressive rock band ante mortem, then Pure Reason Revolution's 'Amor Vincit Omnia' may be the soundtrack to that horrible end. Caveat emptor, vincit omnia veritas.